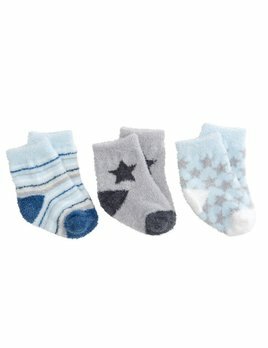 This 3-pk of boy's fuzzy socks are soft, vibrant and colorful just like he is! 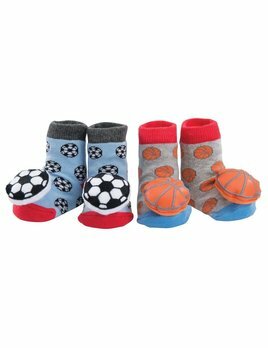 Any baby boy will love these creative stripe and star designs. 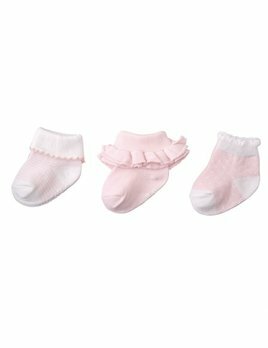 Set of 3 cotton ballet themed socks feature grosgrain bow or mesh puff embellishment. 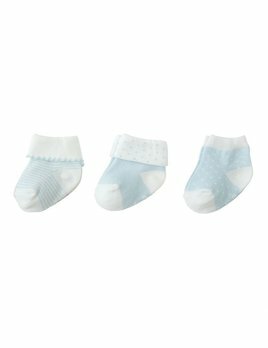 3-pair set. 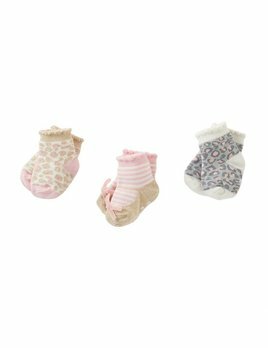 Newborn socks feature popcorn edge trim, gold lurex detail and dimensional velvet bow. 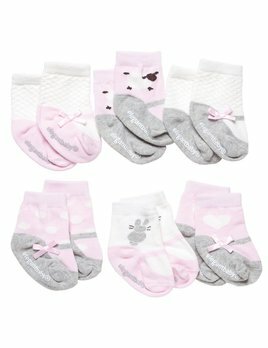 Socks arrive gift boxed.